The Honor Play sports a 6.3″ screen, a speedy Kirin 970 AI Chipset, and it’s got a big 3,750mAh battery. 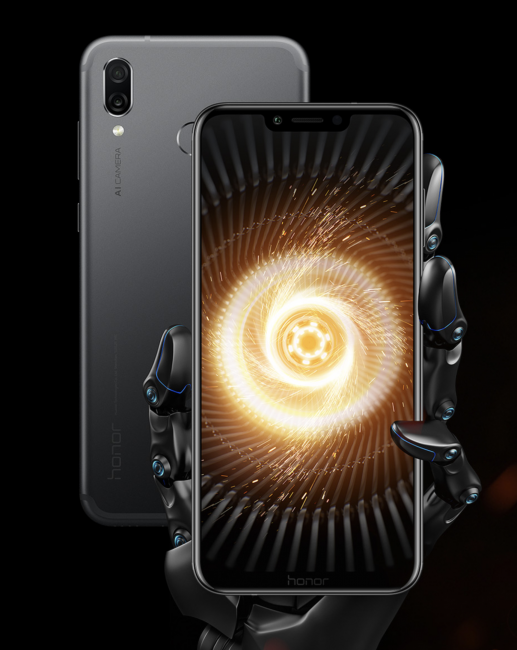 While gaming, you’ll enjoy the situationally aware SmartShock, Honor’s 4D Gaming Experience that allows you to feel the action. The GPU Turbo improves the Kirin 970 AI Chipset’s performance by ~60%, and it gives a 30% power consumption decrease with “almost full FPS and FPS stability in large games.” There’s also 3D surround sound when you plug in a headset via the 3.5mm jack or the USB Type-C port. 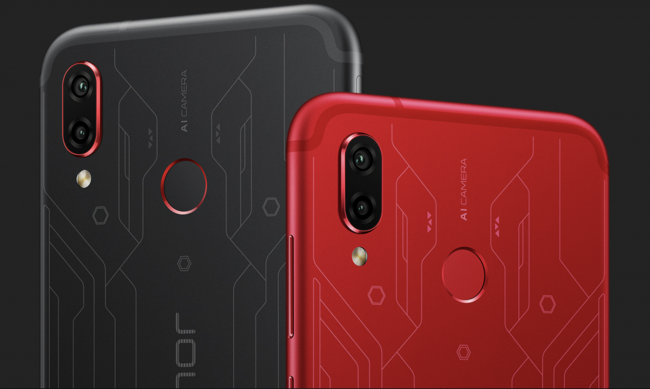 16-megapixel and 2-megapixel dual rear cameras are assisted by the AI NPU, so they will identify items from 22 different categories; the camera will also recognize and retouch “the different parts of what you are shooting at the same time.” If you’re going to get the Honor Play, it only makes sense to get the Player Edition … it’s gorgeous. No clue if this phone will be available in the US or not, but at around $380, one can only hope. It doesn’t happen very often, but this is one of the few items that when something was shown to me, I wanted to stuff it into my bag and run out the door. 😉 Obviously, I didn’t, but here’s what’s got me so interested … The Yoga Book C930 is so light that you won’t mind carrying it with you everywhere, every day. This is great when you are a commuter or a frequent traveler, and you need the absolute thinnest and Windows device possible. 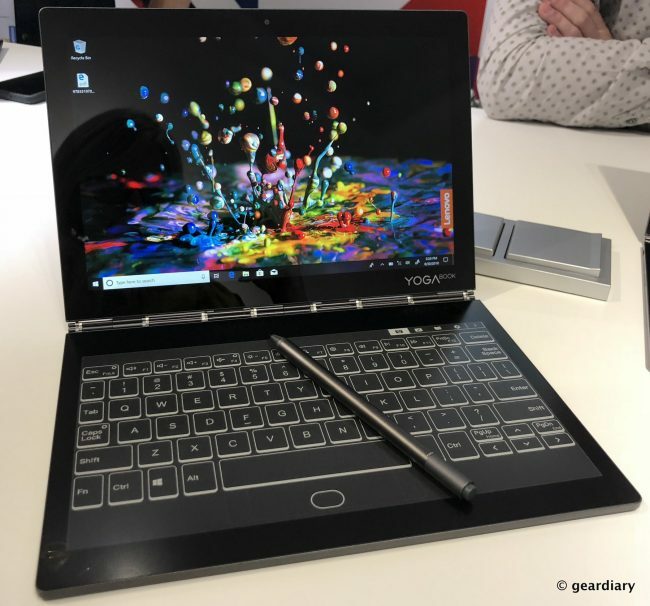 Don’t think of it as a laptop, necessarily, rather — see it as a high-powered tablet that can be used to do virtually everything without giving up functionality because you’re not running a desktop OS. One side has the 10.8″ QHD IPS display, but the other side has a 10.8″FHD E Ink display that functions as a keyboard, a note-taking surface, and as an eBook reader. You can get it with up to 7th gen Intel Core i5 processor, and Lenovo says you can expect to get up to 9 hours of battery life. I’ve played with the keyboard — it’s a great size, and the haptic and visual feedback the eInk keys give you makes it quite comfortable to use. The Lenovo Yoga Book C930 will be available in October or so, and it will start at $999. We’ve reviewed past versions of the JBL Everest headphones, and they have one thing in common — they are all superb. 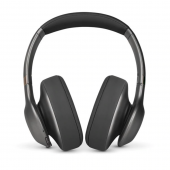 The new JBL Everest 710GA brings the same excellent JBL tuning, comfort, and quality we have come to expect and adds built-in Google assistant, ShareMe 2.0 technology (so you can connect with other Bluetooth headphones and wirelessly share the music you are listening to), and 25-hour battery life. 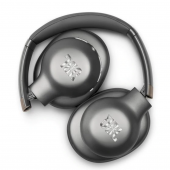 If you need an excellent pair of on-ear wireless headphones, look no further. 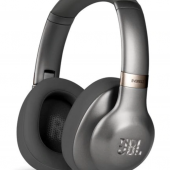 The JBL Everest 710GA retail for $199.95, and they are available now. It’s a home router, it’s a speaker, it’s a 4G modem, it’s an Amazon Alexa device … it’s the Huawei AI Cube, which is obviously not a cube. 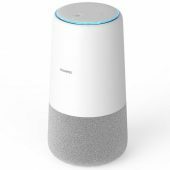 Huawei has effectively created their first smart speaker, and this one includes an LTE Cat.6 modem (for speeds up to 300Mbps) with a SIM slot. Once on a cellular network, it can be used as a hotspot. 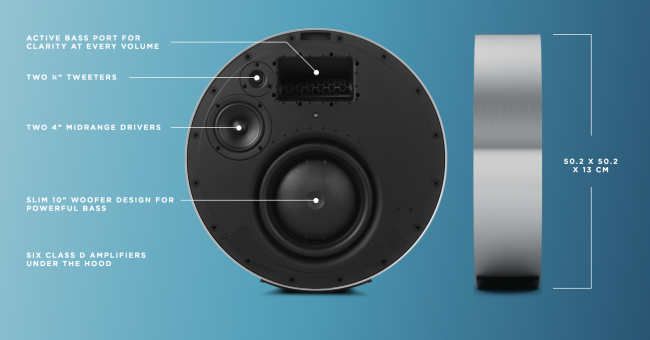 Inside, there is also a four-microphone array with a 15W speaker. 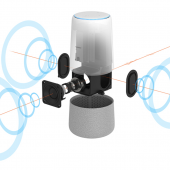 If you’ve ever looked at your Amazon Echo and thought, “you’re cool and all, but why can’t you do MOAR?”, you may be intrigued by the Huawei AI Cube that’s not a cube. No word on pricing or availability yet (or even if this is the final design); we don’t even know for sure that this will ever make it to the United States (Europe should get it by Christmas time), but … we see you Huawei. This looks interesting! At 85″, the Samsung Q900FN 8K QLED TV isn’t for the faint of heart. It’s a monster-sized smart television that boasts 4,000 nit peak brightness and four times more pixels than a 4K UHD TV with 16 times more pixels than a full HD TV. Most importantly, the TV will have AI 8K upscaling, so even though 8K content isn’t readily available, everything will still look amazing on your set. Watching a movie on this beast will be the visual experience the creators intended; I hope your home theater’s sound system is ready! 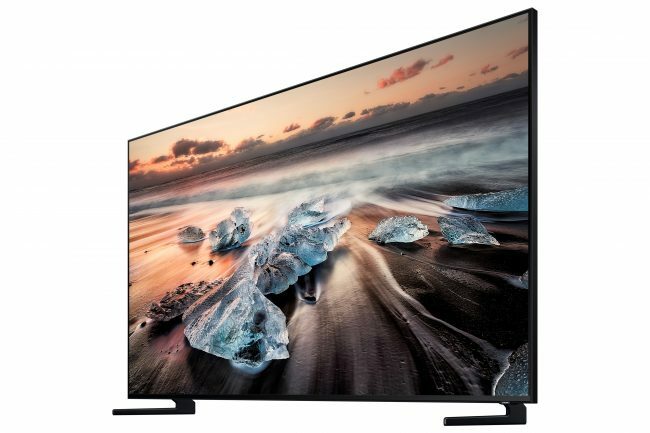 It doesn’t even matter that I don’t have a wall that could properly accommodate the 85″ Samsung Q900FN 8K QLED TV; I want it — and they will be available to buy in the US starting in October — I just need to figure out where to sell a kidney. 😉 No word on prices yet, but it will likely be in the neighborhood of $20K.